We know it’s a big deal to get a lawyer, and sometimes a legal case can end up costing you a lot of hard-earned money. That’s why it’s important that you know from the outset how we work and how we structure our fees. Putting it in writing ensures that you and we are clear about the who, what, when, why, where and how of your case. At our first meeting, we will discuss our terms of engagement with you and then send you a client services agreement outlining those terms. If you agree to the terms, we can commence working on your case. While it might seem lengthy and a bit pedantic, it is for your protection, because if you haven’t agreed on how you will be represented, you may never really know where you stand. It is important to have a clear understanding of what you want from your lawyer. By including this in our written agreement we can remove the potential for misunderstanding and ensure that our efforts are directed toward achieving that result. Before committing to anything, you need to know how you’ll be charged. Many law firms will charge on a ‘time’ basis for all the work they do, for example they may charge for the time taken to write letters and read and draft documents regardless of how long it takes them. We use an ‘item’ based fee structure so that for those types of things you pay for the end product regardless of how long it takes us. For that reason our fees are based upon a percentage of the Supreme Court Scale of Fees. The specific rate will depend upon the nature of the matter and how often we agree to invoice you, or whether we have agreed to take on your case on a “no win no fee” basis. Our fees are subject to GST. The Supreme Court Scale of Fees is a schedule of the legal costs that can be recovered by the successful party in a legal action. Usually, there will be a gap between the Scale amounts and what has been charged by a lawyer. In order to provide you with a cost effective service, in some matters we may engage an experienced Specialist Law Clerk to assist in the day to day conduct of the matter. 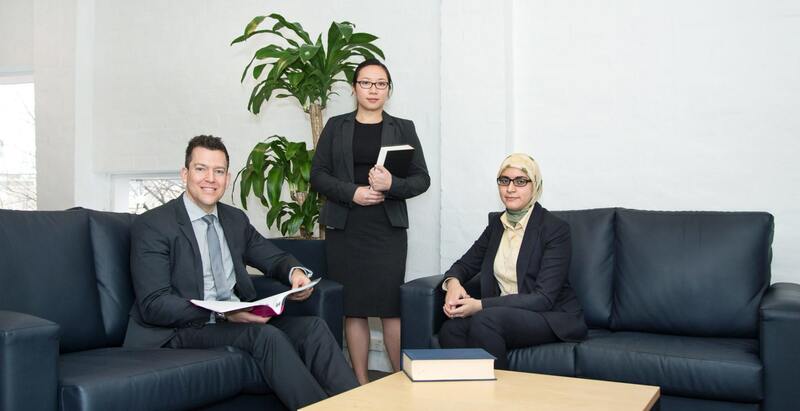 A Specialist Law Clerk is not a legal practitioner but is a senior clerk with particular experience and training in assisting with legal matters, under the supervision of the lawyer responsible. Their attendances are charged at 80 percent of the Solicitor’s rate. We will incur such disbursements as are appropriate and then pass on the cost (including any GST) to you. If you are successful in your case, even though you may recover your legal fees from the other party, you may not recover any of the money you have spent on disbursements. In some cases where payment for a disbursement is required up-front, for example court fees or expert’s fees, we may ask that you deposit payment into our trust account before we engage those services. We will do our best to provide you with an accurate estimate of what your legal fees will be, but usually it is difficult to do so as the amount of work required will be affected by factors outside of our control. For example, waiting until an injured client’s condition has stabilised or the conduct of the other side to a dispute or claim. For that reason, the estimate can only be a guide and as the case proceeds and it becomes clearer how much work is likely to be needed, we will review our estimate. You may at any time request details of your fees to date. If your case goes to Court and you are successful, you may be entitled to recover a percentage of your costs from the other party or parties. Because of the Scale of Fees, it is only in exceptional circumstances that a Court will order the unsuccessful party to pay all of the costs that we have charged. If you are unsuccessful in a Court action, you may be liable to pay the costs and disbursements of the other party along with our fees. These are all matters that you can discuss with an experienced solicitor at your first interview. In some circumstances we will ask for money in advance for work yet to be undertaken and/or disbursements yet to be incurred. The funds are deposited into our trust account and are recorded as a credit balance against your name. Whether this will be necessary is something that will be agreed upon with you at the commencement of your case. At the end of your case we will maintain only an electronic (scanned) copy of your file. All hard copies of documents will eventually be destroyed. If a hard copy of the file is to be held in storage this will incur a small annual fee.